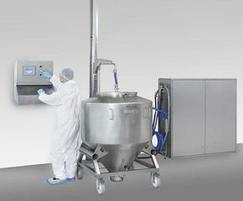 Absolute care is essential in pharmaceutical production. L.B. 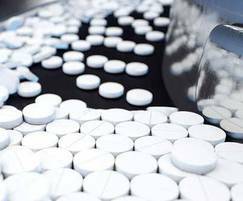 Bohle, based in the Westphalian town of Enningerloh, is among the leading engineering companies of special-purpose machinery for the pharmaceutical industry. The company uses a compact control cabinet solution for cleaning containers of a variety of sizes. This universal pharmaceutical cleaning system PUR satisfies high hygiene standards with the aid of the FLOWave Type 8098 flowmeter. 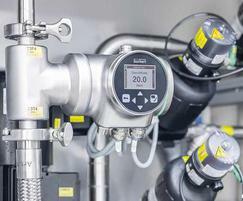 The flowmeter is completely made of stainless steel and measures volume flow rates with a precision of ±0.4% of the measured value. The temperature is measured concurrently with this with a precision of ≤1°C. Depending on the orifice size, the nominal pressure can be up to 40 bar. The temperature range is designed so that both CIP and SIP cleaning processes can be performed. 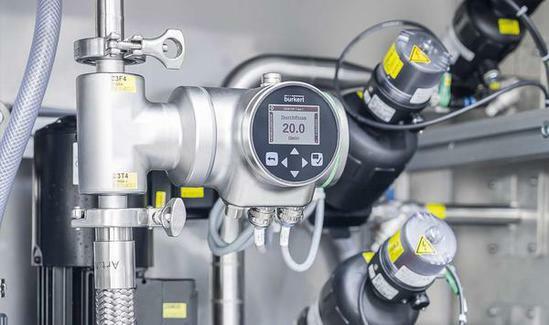 In addition to the measurement of volume flow rates and temperatures, FLOWave can perform other measurements to provide values such as density factors (for liquid detection) and acoustic transmission factors (for gas bubble detection). The latter is also of interest to L.B. Bohle for the purpose of further optimising the cleaning process in future.